Award-winning American poet Mark Doty celebrated his post as the first International Visiting Poetry Fellow at a special reading at the end of November. The Fellowship was created as part of Queen’s and the Arts Council of Northern Ireland's joint ten-year Seamus Heaney Legacy project and is offered to a distinguished poet of international repute. Throughout November Mr Doty presented public readings, workshops and masterclasses for students at the University. He also took part in a number of outreach activities at the Seamus Heaney Homeplace in Bellaghy, the John O’Connor Literary Arts Festival and the Outburst Queer Arts Festival. His time in Belfast was brought to a close with an ‘in conversation’ style event in the Harty Room at Queen’s. 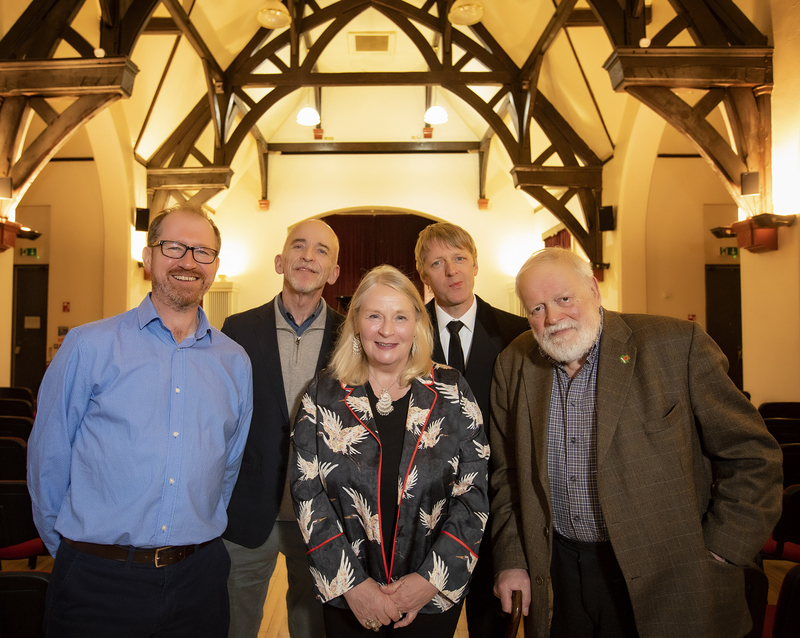 The event was introduced by Noirin McKinney from the Arts Council of Northern Ireland and Glenn Patterson from the Seamus Heaney Centre for Poetry, and hosted by Dr Philip McGowan from Queen’s University Belfast. Mr Doty is best known for his powerful work written in response to the AIDS epidemic and his nine books of poems include My Alexandria, which won the US National Book Critics Circle Award and became the first book by an American poet to win the T. S. Eliot Prize in the UK in 1995. A former Guggenheim Fellow and Chancellor of the Academy of American Poets, he currently lives in New York City.